Just in a couple of Microtech Ultratech variations. The red in a single edge drop point style and the purple in a tanto point style. 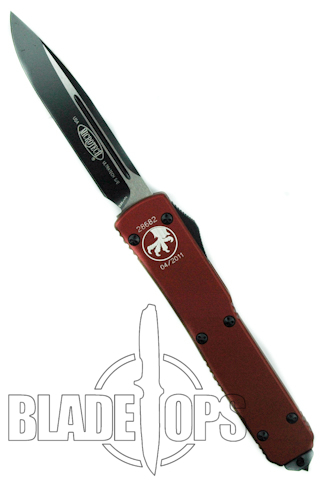 The Ultratech is always popular. If you find one in a color and blade style you like–snap it up because they are always limited in number and sell out quickly. We also just got in a few Makora II OTF knives with blued titanium hardware–very excellent. Next Next post: What is S35 VN Steel and How Does It Compare?